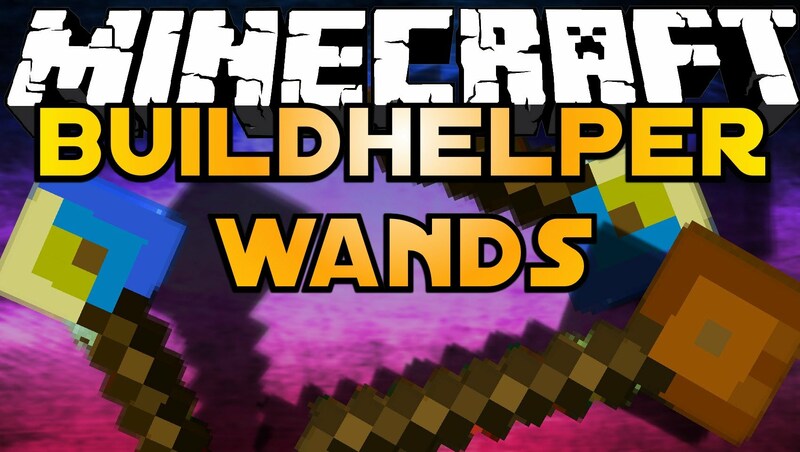 BuildHelper Mod 1.13.2/1.12.2 adds different wand items to the game. These wands can be used for convenient and fast building of walls, filling of bodies of water of ditches and valleys, creating of islands and digging of shafts or removing of mountains. The exchange wand does work correctly only for standard blocks. Special blocks with different types can produce some unexpected exchanges. For example flowers will only exchange correctly the basic vanilla flowers (roses and dandelions). 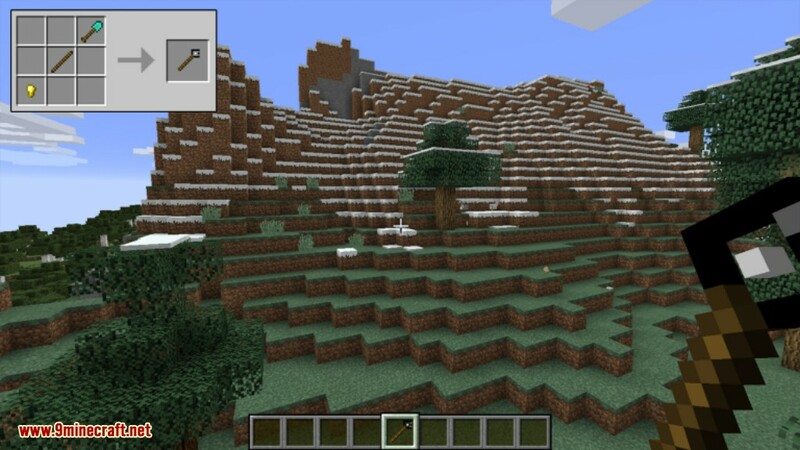 Buildhelper is a fantastic way to edit and manipulate the world around you. 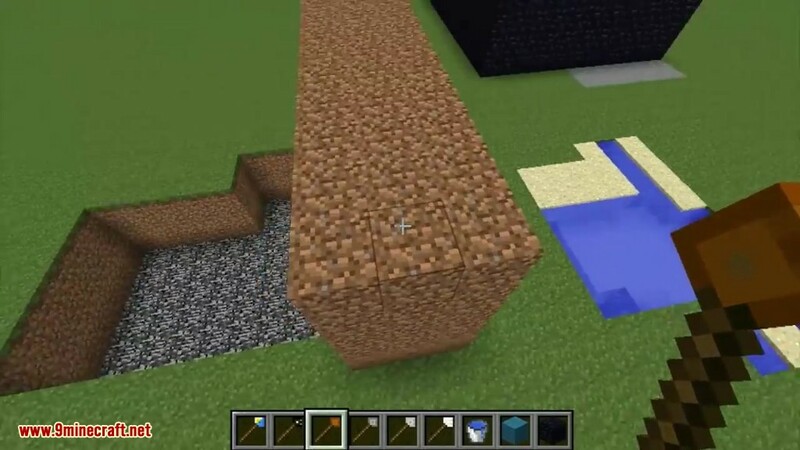 You can quickly build walls with the swipe of a wand or fill and empty large bodies of water. 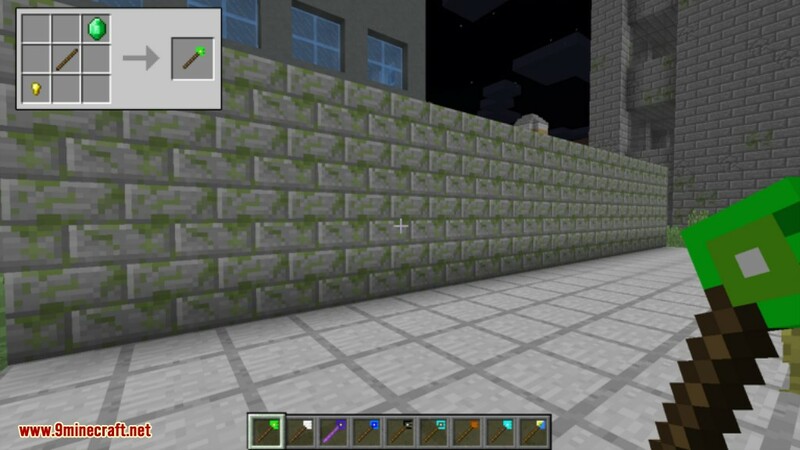 If you want to build a wall out of any type of block, just craft a Gap Filler Wand and select the block you want with it as well as two coordinates in the shape of a wall and voila. 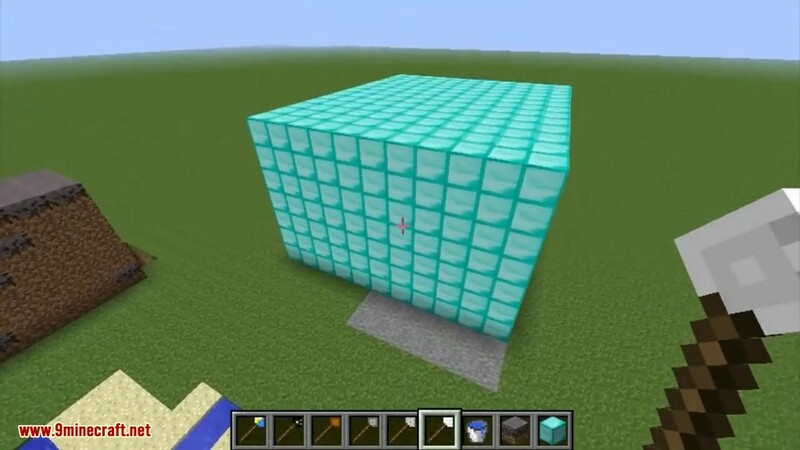 It could also be a giant cube depending on where you place the second coordinate. 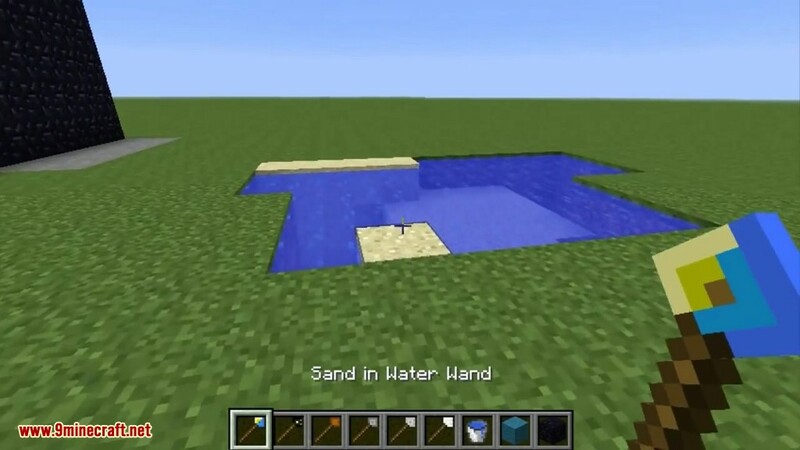 The Sand in Water Wand: can be used to fill bodies of water with sand. 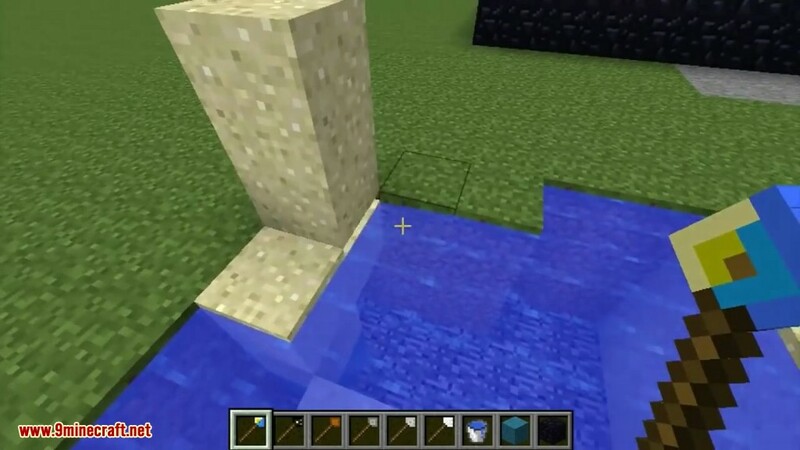 If a block next to water is clicked, block of sand will be created above the water falling into the water and filling it to the level of the clicked block. 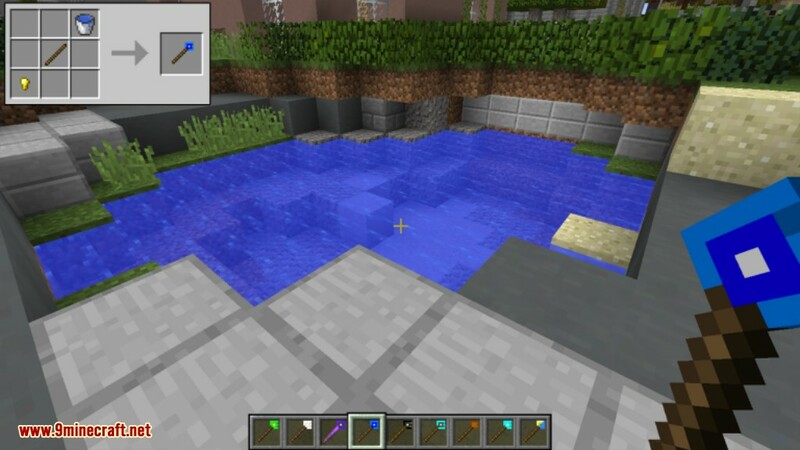 Click a block next to water on top and every coordinate around it will be filled in this way. 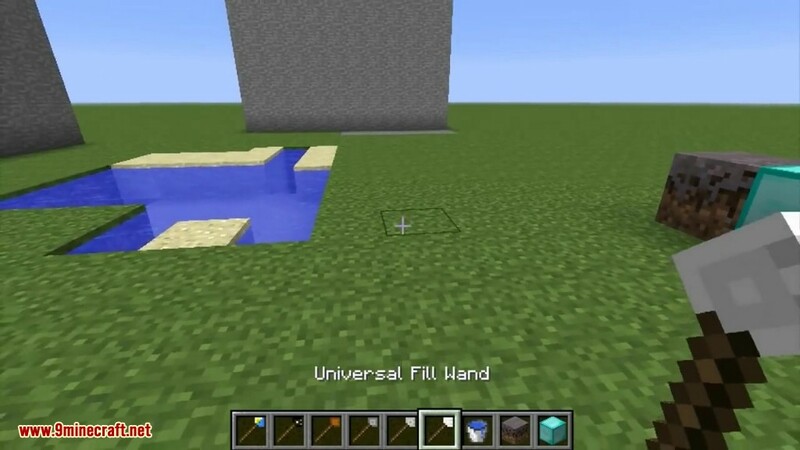 Universal Fill Wand: can be used to fill gaps with any block. 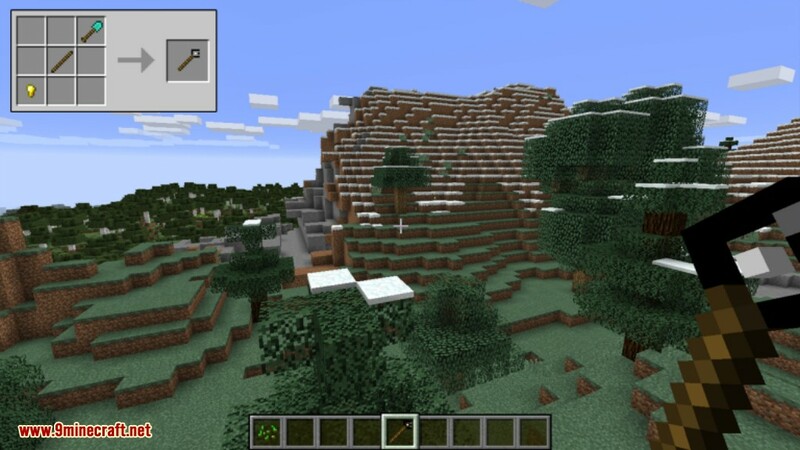 Click on an block and the block type is noted, second click will remember the coordinate and the third click will fill every block between the second and third clicked blocks with the block of the first click. Exchange Wand: can be used to exchange a block type against another in a set area. First click will determine the block you want to have, second click will determine which blocks you want to have exchanged, third click will remember the coordinate and fourth and final click will exchange all blocks set by the first click with the blocks set by the second click. 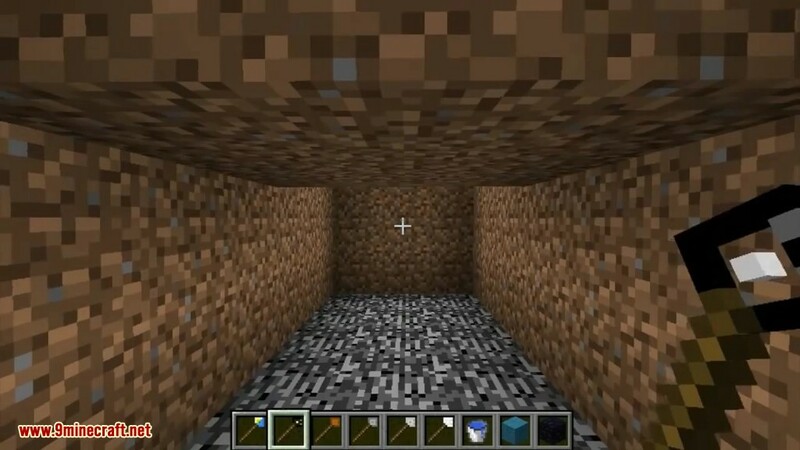 Dirt Fill Wand: is used to fill the space between two blocks with dirt. 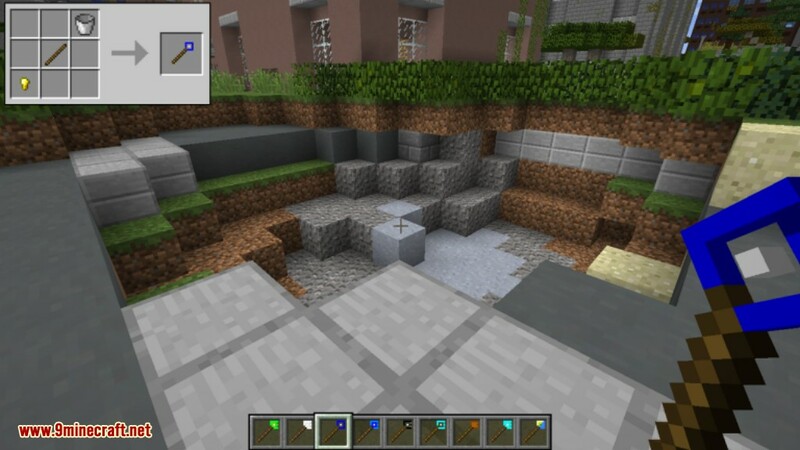 First click will store the coordinate, second click will fill the area between first and second click with dirt blocks. 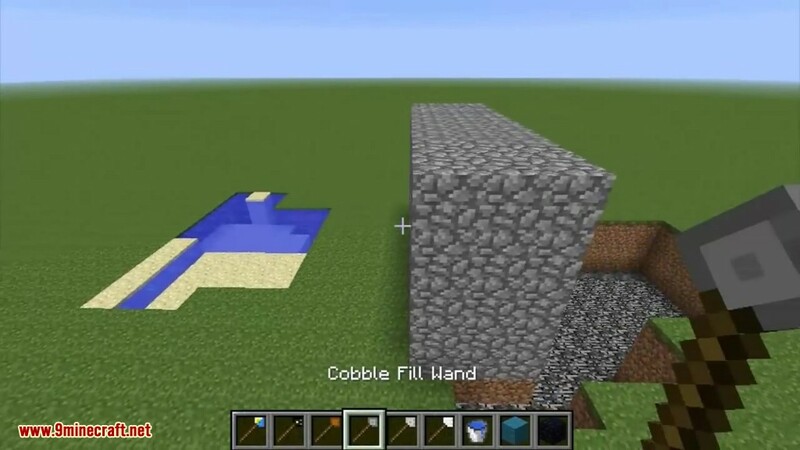 Cobble Fill Wand: same as the Dirt fill Wand, except the filled in block is cobble stone. 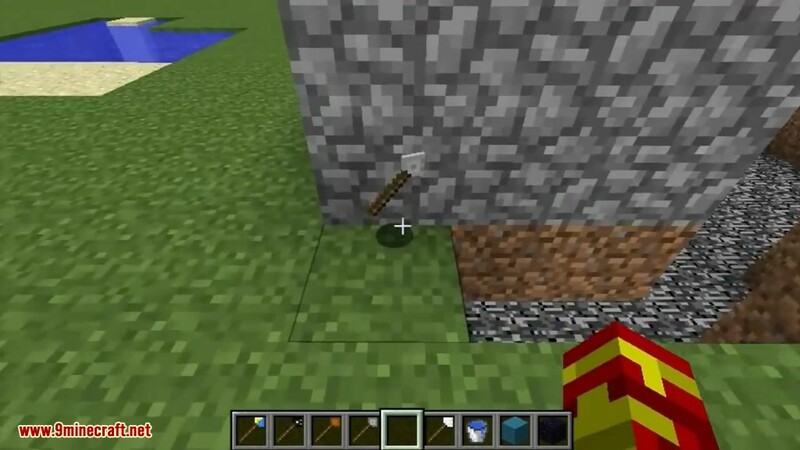 Stone Fill Wand: same as the Dirt fill Wand, except the filled in block is smooth stone. 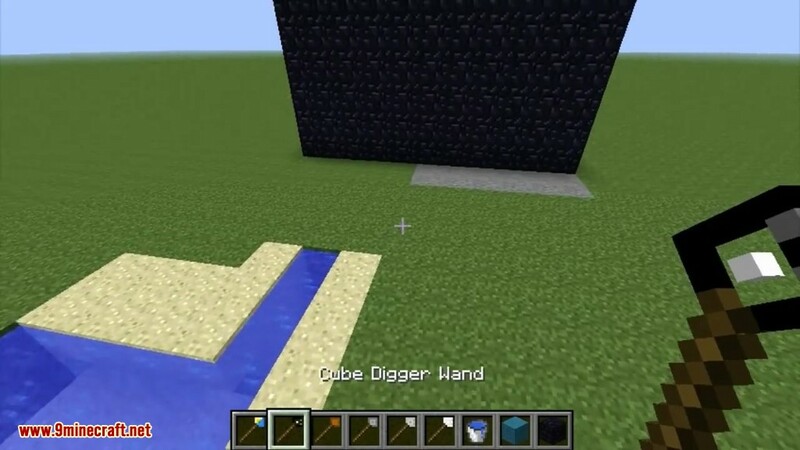 Cube Digger Wand: if a block is clicked it will remove the blocks from a 3x3x3 area in the direction of the click. 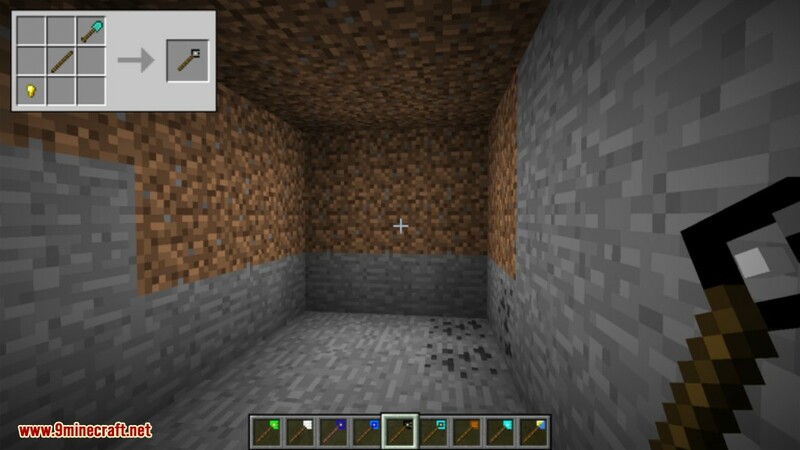 Air Wand: is used to remove all blocks in a selected area. The first click will store the coordinate, second click will remove all blocks in the area between first and second click. Gap Filler Wand: is used to fill all gaps in an area with a selected block type. 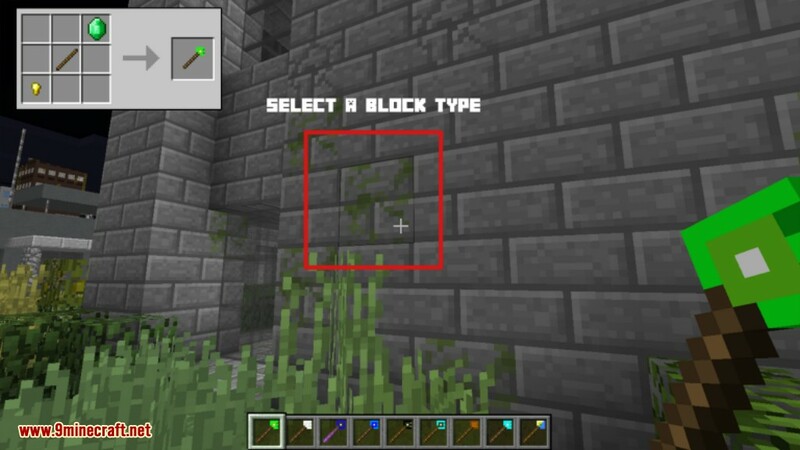 The first click will select the clicked block type, second click will store the coordinate and the third click will fill all gaps (air blocks) in the area between second and third click with the block selected with the first click. Water Filler Wand: is used to fill all gaps in an area with water. 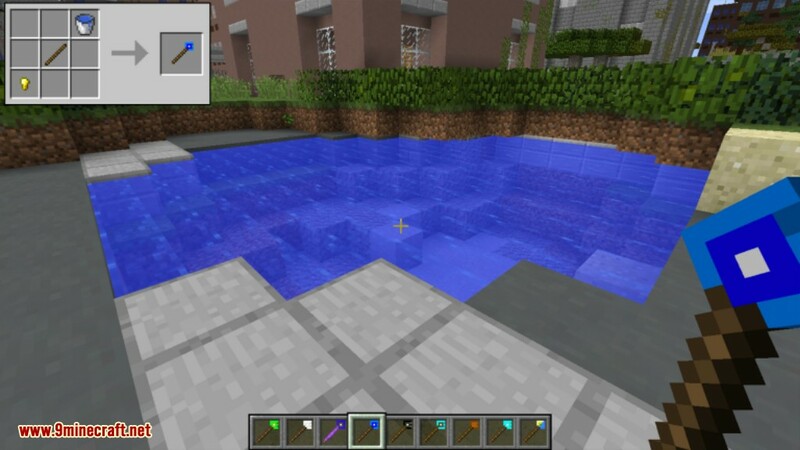 The first click will store the coordinate, the second click will fill all gaps (air blocks) in the area between the first and second click with water. Remove Water Wand: is used to remove wate. The first click will store the coordinate, the second click will remove all water blocks in the area between the first and second click. 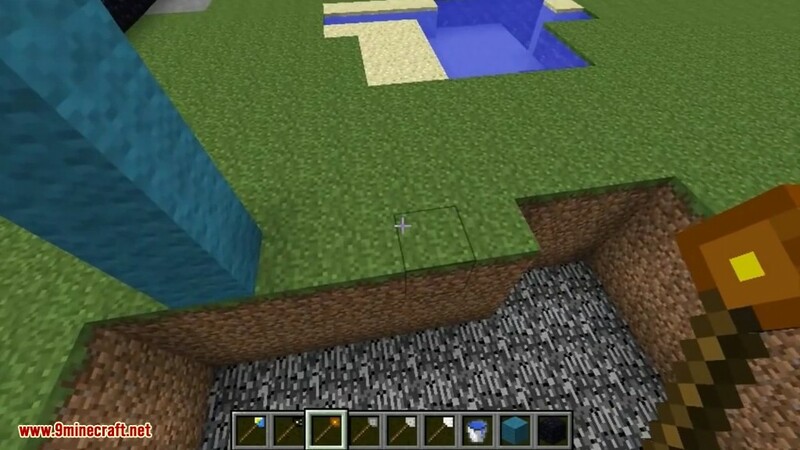 Building limits for the fill wands are 1000 blocks in x and z direction and 300 blocks in y direction. If these limits are exceded, the wand will be reset. 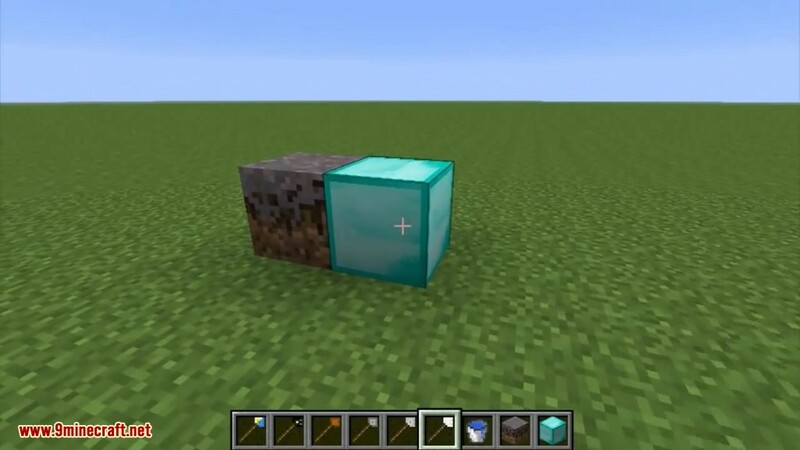 The wands should not be able to remove or exchange bedrock. 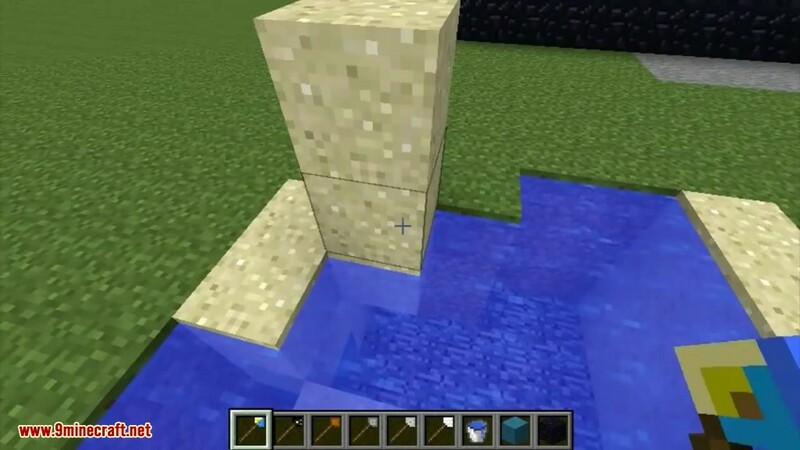 Create an island: Build a pillar from bottom of the sea to the surface somewhere in the ocean. 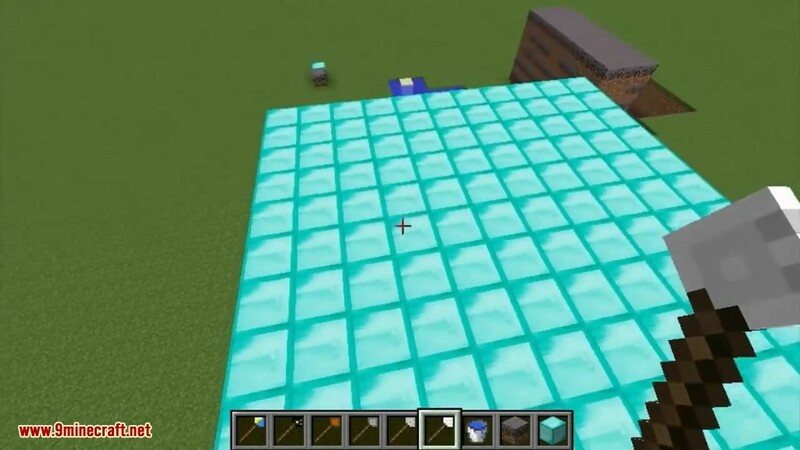 Click on any block on the ocean floor, click onto the top block of the pillar and instantly fill the x, y and z coordinates between the two clicked block with respective blocks. 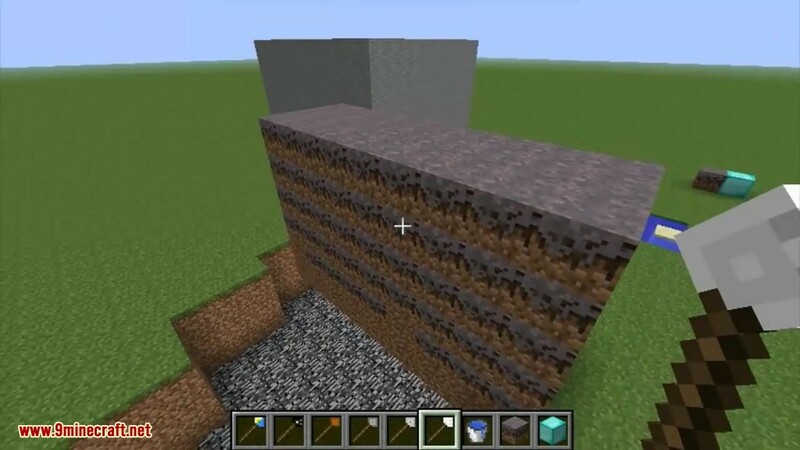 Use smooth stone for the bottom and dirt for the top three layers. 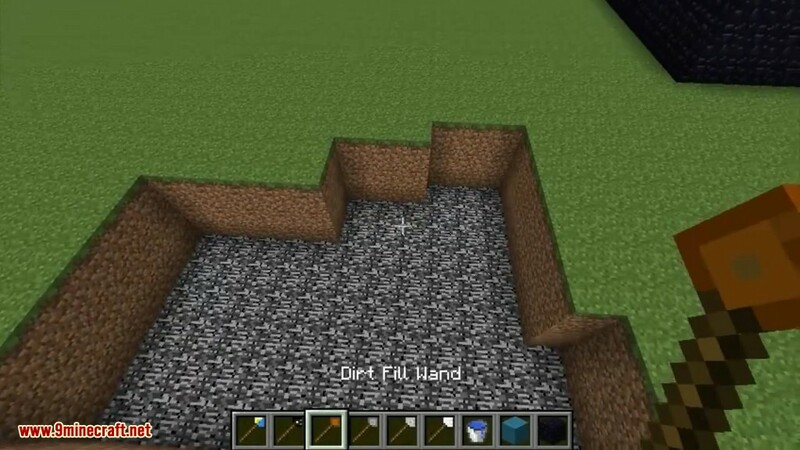 Fill valleys: If you want a flat surface for building projects, use the dirt filler block and fill valleys layer for layer until the valley is filled. Build a house: Build a pillar in the desired hight of the house. 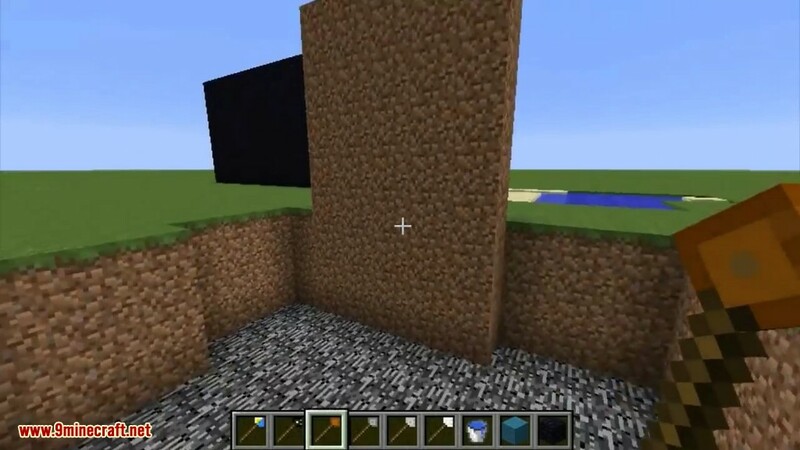 Click the top of the pillar and one block on the bottom to create a wall. Repeat for all four walls, now with a block on the top side of the last wall. 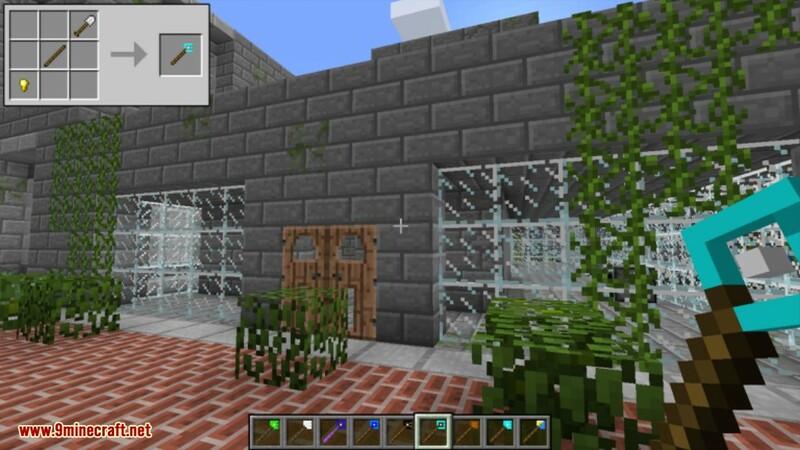 Remove blocks in the walls for windows and doors. 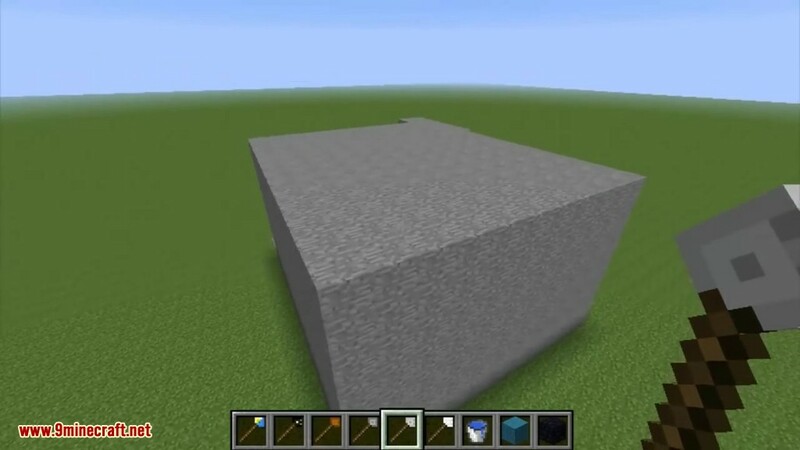 Add two blocks at the level of the desired floors in the corners opposite of each other and fill in a floor by clicking one after the other.